A condition you may be struggling with in Grand Rapids, Michigan is thoracic outlet syndrome. However, there’s a physical therapy team near you that’s ready to help you with this condition. Advent Physical Therapy proudly offers high-quality physical therapy to patients in downtown Grand Rapids, Michigan. Our team offers the highest possible level of care and customer service to every patient we see. We’re always ready to listen to your concerns and help you find the right therapies to overcome them. 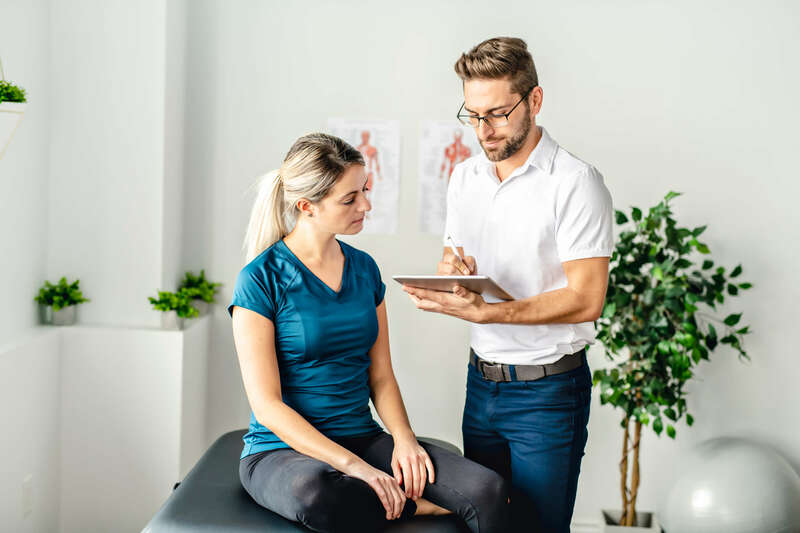 For this reason, we offer only personalized therapy plans in our office, which include plans for thoracic outlet syndrome sufferers. Our team knows that you may be suffering from thoracic outlet syndrome in Grand Rapids, Michigan without even knowing you have it. For instance, you may have this condition if you’ve felt symptoms like shoulder pain, neck pain or numbness in your fingers. Our team is aware that any of these symptoms could be a signal that you have thoracic outlet syndrome. We know that this condition is the result of blood vessel or nerve compression. In this specific instance, your blood vessels and nerves are the ones that run between your collarbone and top rib. We can even tell you that this condition gets its name from the space between these two bones, which is called the thoracic outlet. Our team has seen many things cause thoracic outlet syndrome in our patients. But, there are three causes that we see more frequently. The first cause we often see that causes this condition is trauma from car accidents. This trauma is commonly the result of striking your upper chest or shoulder on something in the car during your accident. Another issue that we’ve noticed frequently causes thoracic outlet syndrome is shoulder or collarbone injuries from sports. Thirdly, we’ve seen patients develop this condition from shoulder injuries that happened at their workplace. Our Advent Physical Therapy team knows that thoracic outlet syndrome is a serious condition. However, we’re ready to help you find ways to treat it. Our Grand Rapids, Michigan office even offers free 15-minute screenings to help you find out if you have this condition.